How does the idea of your hard earned cash going down the drain sound to you? If you have never taken the time to sit and think your business financial structure through, that’s exactly what may be happening to you. True, selecting the right property investment structure is no simple task. But when you think about how much in unnecessary taxes you may be paying, the idea of not investing the time and effort to do so becomes simply unacceptable. Paul Copeland is an accountant and a very successful property investor, he is also a long time contributor in our property networking group meetings. As a property investor, Paul understands that the property game ultimately is about making money. But as an accountant and director of the business advisory group at William Buck, he also recognises the important role that the right property investing structure can play in maximising profits, minimising risk, reducing taxes and planning for the future. Because property investing structures can be complex and should be based on an investor’s individual plans and goals, Paul developed a four-step “building blocks” system to provide a roadmap to help investors decide which structure is right for them. Before you do anything else, Paul recommends getting professional advice to help you learn about the options available to you. 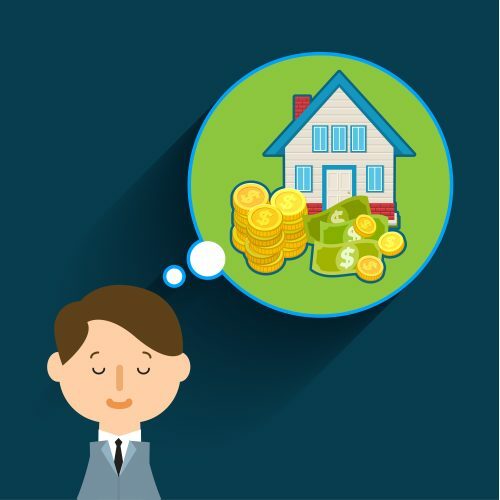 A qualified accountant who is familiar with property investing can help you crunch the numbers and look at all aspects of your deal to determine which structure will be most favorable. This should look at the return on investment (ROI), which includes income and capital growth. It is also important to look at true yield and not just cash flow, Paul suggests, and to remember that higher returns usually come with higher risks. After you have a detailed picture of your investment options, you should begin to compare them. – Cash in the bank: Cash in the bank is an extremely safe option, but it offers no capital growth and small returns. – Shares: Shares are also relatively safe, but present a slightly higher risk than cash in the bank. They also offer higher yields, although capital growth can vary from negative to 40 percent. At the time of writing, average annual return is around 10-12 percent. – Commercial property: Commercial property has variable risks and yields depending on market conditions and vacancy rates. To purchase a $1 million commercial property, for example, you would need about $350,000 in cash or equity. Assuming the bank lends 70 percent of the funds needed to buy the property, the estimated average annual after-tax return over a 10-year period would be between 12.75-15 %, including capital growth. – Residential property: Residential property can be divided into two categories—passive investing and active investing. 1. Passive investing involves the buying and holding of properties with the intention of renting them out and paying them off. With passive investing, investors need to be aware that the combination of high interest and low rental rates can cause negative gearing, which leads to losing money over time. However, lower interest rates and higher yields can create a bargain. If you purchase a residential property for $600,000 with an 80 percent loan and charge rent of $580/week, assuming normal management and upkeep costs, the cost to hold is around $2,000 per year. If the property value increases by 5 percent each year, the average return over a 10-year period is slightly less than 20 percent on the invested funds. Using the same example, if interest rates increase by 2 percent and rent drops to $550/week, the average annual return drops to 13.5 percent. If the same property is cash flow positive, earning $2,000 per year, but the property value only increases by 2 percent, the net return decreases to 7.83 percent over 10 years. Although it can be tempting to focus on cash flow, the greater impact comes from the lower capital growth. Long-term projections are key for successful passive investing, so you should ask your advisor to do a 10-year projection. 2. Active investing involves the building and selling of properties within a short period of time. Here’s an example of active investing: A five-unit development cleared $2.525 million in sales. After GST and selling costs, the development cleared $2.321 million. Costs associated with development were $1.924 million, which led to a profit of $397,000. Taxes were $119,000, which resulted in a final number of $278,000. In this case, the developers needed $481,000 in cash to make the development work, which was a 57.81 percent return on investment over an 18-month period. Because they didn’t have to provide all the cash up front, the developers initially invested $216,000 to get the land to development approval and building approval. They later obtained construction financing and invested additional money. Although the returns on active investing are high, it can be risky. That’s because things can go wrong and potentially cause you to make nothing or even lose money. The next step in Paul’s process involves working with your accountant to determine what your own financial picture looks like. You will almost always be required to invest cash, so you need to make sure you have enough to accomplish your goals. Paul adds that the lack of needed cash may not necessarily mean the end of your development dreams if you are willing to adjust your plans. You can complete a simple financial assessment by making two columns on a spreadsheet—one for assets and one for liabilities—and listing each item. Your list should NOT include things like cars, boats, furniture and personal items, and you should be sure to reduce all property values by 20 percent (the bank will only consider 80 percent of the property value as equity). Then, you can simply subtract the liabilities from the assets. In some cases, property investors can tap into their superannuation fund via a Self-Managed Super Fund (SMSF) to finance development projects at a low 15 percent tax rate. Although SMSFs are the fastest growing sector of the superannuation industry, investments are highly regulated and can be complex to set up. A common mistake many new property investors make is quitting their full-time job and, therefore, losing serviceability on the loan. The bank thinks that without employment income, the investor will not be able to repay the loan. Because your ability to earn money is one of your biggest assets, you should be sure to have income protection insurance that is suitable for your situation. New property investors can also face challenges with proving to the bank that they have sufficient industry experience. One way around this issue, Paul says, is making sure that you have a team of industry professionals in place who can provide you with sound advice and education. Don’t wait until after you sell your property to discover half your profits will go down the drain just because the deal was structured in the wrong entity. Download NOW: The 7 Property Investing Pros You NEED To Have On Speed-Dial! As you make plans for how you would like to invest, you should consider how much you are willing to risk and develop a strategy that you are comfortable with. “If you don’t want to lose money, you should choose a low risk profile,” is Paul’s advice. Paul says that some people don’t want to borrow money, hate risk and are willing to sacrifice higher profits associated with property development. Even though these people have a low risk profile, passive investing could be an option for them. According to Paul, you also should factor tax planning into your overall strategy. The bank wants to see you making a profit and paying appropriate taxes in order to approve financing. However, Paul advises against making decisions to “chase” tax deductions. You can’t get out of tax if you are making a profit, but you don’t need to pay more than you have to,” Paul said. Paul recommends that you should determine the structure prior to making purchases so you can have the appropriate entity set up and ready to go. Because changes to your structure can be costly, you should make sure to work with your accountant to thoroughly consider your circumstances. – Individual or sole trader: This structure is easy and inexpensive to establish. – Partnership: A partnership is an easy-to-establish structure that involves two or more individuals. – Company: The advantages of a company structure include limiting personal liability, ease of admitting new investors as shareholders and a flat tax rate of 30 percent. Shareholders also have clearly identifiable entitlement to income and capital, profits can be retained in the company and the structure can be used with a holding company to obtain tax benefits. However, companies do not qualify for a 50 percent exemption for capital gains tax, it can be tough to pass tax-free amounts to shareholders and directors can still be held personally liable in lawsuits. Also, losses become trapped in the company and cannot be distributed to shareholders. – Trusts: Trusts have become popular due to the 50 percent capital gains tax discount. There are two categories of trusts—unit trusts and discretionary trusts. 1. Unit Trust: Unit trusts, or fixed trusts, are similar to companies and typically are used by non-related investors who want to ensure that their investment entitlements are clear. When used with a corporate trustee, unit trusts can provide asset protection. Just as investors purchase shares in a company, investors purchase units in a trust. However, unit trusts are not for individual investors, losses cannot be distributed to investors and all income must be distributed at the end of the year to avoid tax penalties. 2. Discretionary Trust: In discretionary trusts, there are no fixed entitlements and distributions are made at the discretion of the trustee. When used with a company trustee, the structure can be used as an investment entity to hold your interest in the development or as the actual entity carrying out the development. Discretionary trusts provide asset protection and liability limits with a corporate trustee, offer flexibility for capital and income distributions and have no restrictions on tax-free distributions. However, losses cannot be distributed to beneficiaries and beneficiaries do not have a transferable interest. – SMSF: A SMSF typically cannot undertake a development directly, but investors can use it as an additional source of capital and to receive profits. Because it is a variation of a trust structure, it requires a trustee, which can be a company or individuals, also a deed. Investors typically need at least $100,000 and a good strategy to set up an SMSF. Because SMSFs are highly regulated and restricted, you need to be sure that you can use the funds for their intended purpose. Fines for misuse can be high (around $25,000 for a breach), it can be difficult to access profits and it can affect your ability to borrow. Set up costs around $2,000 and SMSFs cost around $2,500 each year to run. Why do you want to own a SMSF? What would you like to do with the money? Do you understand your obligations? How much do you have available in superannuation? Although companies and trusts are the most common structures, you should be sure to select the structure that is right for your situation. Picking the right property investment structure for you can be complex, but having the right professionals on your team can help you to maximise your moneymaking potential. If property is the way to wealth for you, make sure you get the right advice,” Paul says.